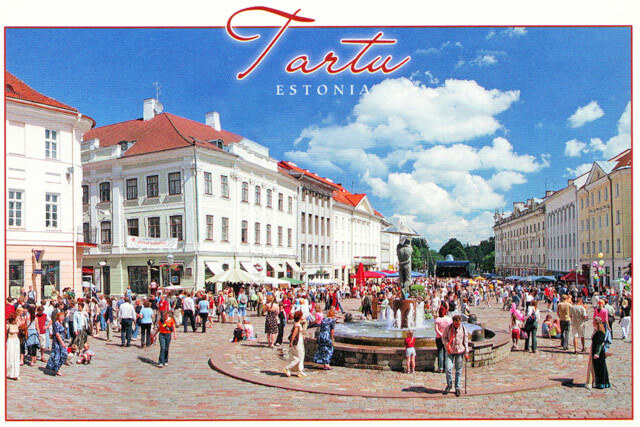 According to archaeologists people inhabited the present territory of the County of Tartu (area 3,089 sq km, population 150 000) approximately 5000 years ago. 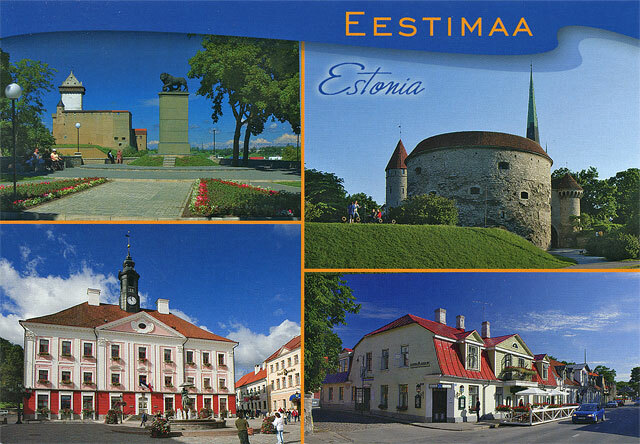 In the second half of the 19th century the National Awakening of the Estonians started from the County of Tartu. 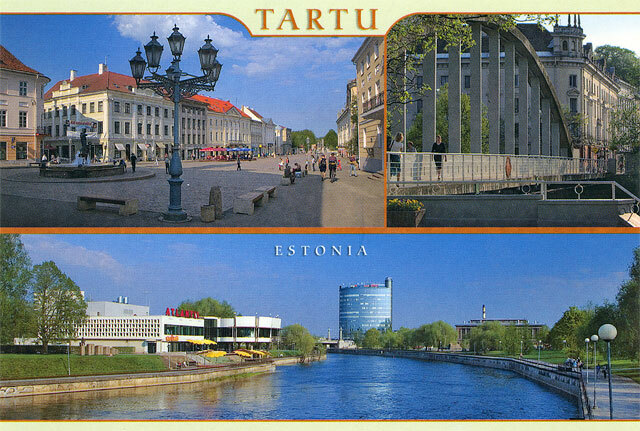 The development of this region was favored with the building of a railway, which connected Tartu with Tallinn, Riga and St Petersburg. 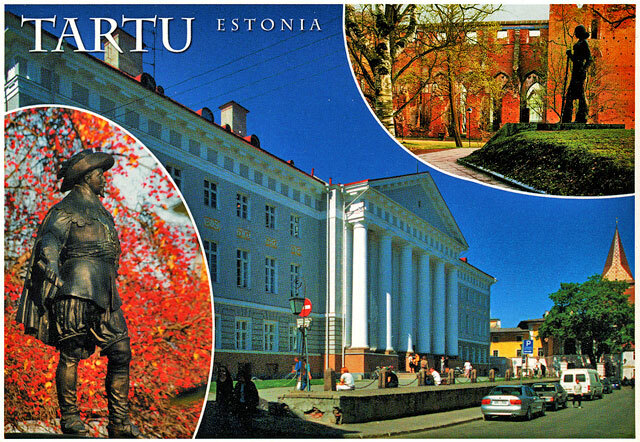 The town of Tartu, located in the Centre of the County is the oldest town in the Baltic States and the Centre of South Estonia. 1. The permanent exhibitions in the Estonian Agricultural Museum depict the development of agriculture and agricultural equipment. There is a smithy and windmill that are opened for visitors and a display of old steam locomotives and tractors. At the disposal of the Museum are the courtyard and outbuildings of the previous Manor of Ülenurme (horse stable, byre, carpenter's workshop, smithy, barn and other buildings). At the time of the opening there were 58 000 exhibits in the Museum, including 6419 tools, machines and other equipment, over 22 000 books and 27 000 photos. 2. The preserved Tavern of Uhti is at the crossroads of the new Tartu-Võru Road with the Tartu-Põlva Road. 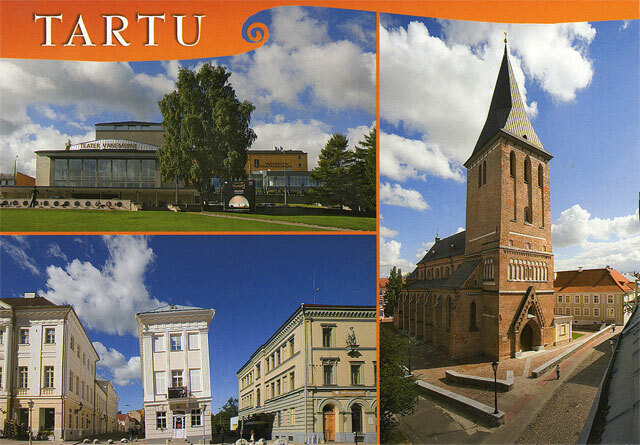 The building was erected at the beginning of the 19th century and is the only example of architecture of its kind in the Southern part of the County of Tartu, preserved in almost its original form. Here current events from near and far were discussed, trade transactions made and farm servants hired. 3. The Nature Reserve of Alam-Pedja (260 sq km), was established in 1994 covering the uncultivated river bank marshes and river valleys on the borders of the Counties Tartu, Jõgeva and Viljandi. The Nature Reserve of Alam-Pedja is a wetland of international importance, protected according to the Ramsari Convention since 1997. There is a 7.5 km long Kirna Hiking Trail in the County of Jogeva. 4. 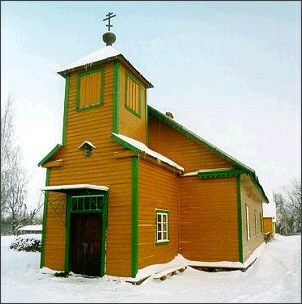 On a manor meadow to the left of the road, a Russian Orthodox Church of Aleksander Nevski is situated. Just near it there is a protected linden coppice, considered to be an ancient sacred grove. The land behind the Church is called Veremaa (Blood Land) among people. There used to be the manor stables here in the old days, where the peasants were beaten and the land was often red from their blood. Near the Church, under the slope of the ancient valley there is an ancient sacrificial well, bounded with a plank case; the water bubbles out of the sand and, according to legend, has a rejuvenating effect. 5. The Landscape Reserve of the Outcrop of Tamme is situated on the Eastern shore of Lake Võrtsjarv, between the villages of Tamme and Neemisküla in the Parish of Rannu, where many sandstone outcrops of the Aruküla Layer dating from the Central Devonian period can be found. This outcrop is famous place for finding Placoderms; much valuable paleontological material has been gathered here since the second half of the 19th century. There is a walking trail with 10 information boards which allow you to obtain interesting information about the nature of this region. There is a sign leading to the beginning of the trail at the Kureküla bus stop on the Sangla-Rannu road. 6. The symbol of Kambja is the Church of Saint Martin, towering on the shore of a beautiful lake. Historical documents first mention the Church of Saint Martin in 1330. 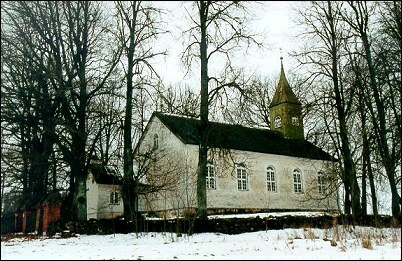 In 1471 there was a wooden church that was burnt and plundered during the Livonian and North Wars. In 1720 the Church was restored, this time it was built from stone. The restoration work of this three-nave Church, biggest in the region of South-Estonia, seating up to 3500 people, started in 1989. The old church bells, cast in Moscow have been preserved. 7. In the Liivi Museum you can see the home farm of the writers Juhan and Jakob Liiv. In a new building there are exhibitions of the life and works of these writers and the composer Eduard Tubin. Those who are interested can visit the Museum and see video films introducing the history of the Parish of Alatskivi. 8. The Castle of Alatskivi was built in 1876-1885 on the initiative and according to the design of the Baron Arved von Nolcken in the Scottish baronial style. The Castle of Alatskivi is considered to be the most beautiful New-Gothic style building in the Baltic States. Despite the fact that the building is only in the early phase of restoration many different events take place in the Castle and in its surroundings. 9. 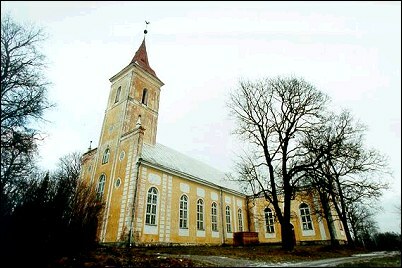 The Church of Alatskivi, built by the Landlord Stackelberg 1777-1782 stands on the Church Mount of Alatskivi. The current building has been restored and enlarged twice (in 1812 and 1866). 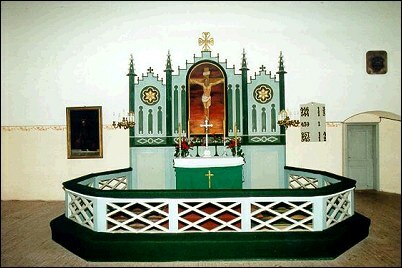 The Church that was plundered and demolished in the 1970s was restored in 1993. 10. 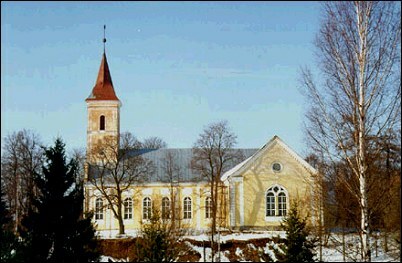 The most outstanding historical feature of the Parish of Vara is the Vara Brigitta Church. The first written data about the Church dates from 1627. The current building was erected in 1854-1855, on a site of a wooden building that was burnt down. Near the Church there is a Monument for those who died in the Freedom War (erected in 1925, re-opened in 1988) and in the cemetery a common grave of those, who died in the Second World War. 11. 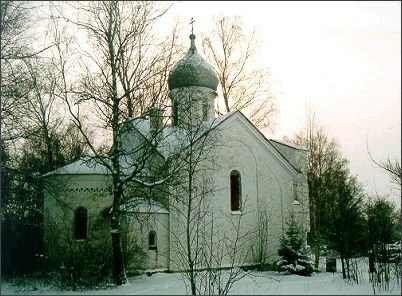 In summer of 1998 the Museum of Old Believers was opened in Kolkja, where everything associated with the village life is exhibited. The Old Believers were famous chicory and onion growers and even today fields of onions can be found in the villages. 12. The first data of the Manor of Luunja date from 1503. Since then the Manor has had many owners. Cattle-sheds built in an architectural style unique in South Estonia have been preserved in Luunja (the 18-19th century buildings surrounding a square courtyard are separated from each other by walls and gates and the complex is bordered by a high wall of land stones); there is also a 2.5 ha park of mixed styles with avenues and ponds. 13. The bog of the delta of the River Emajõgi covers an area of 20,300 hectares, being the fifth biggest in Estonia. The National Reserve was established here in 1981 and since 1994 it bears the name - Emajõe Suursoo Nature Reserve. The purpose of the Reserve is to preserve, protect and study the whole area of the delta bog of the River Emajõgi and the endangered and rare species and associations of the region. Emajõe Suursoo is open to all nature-lovers; hiking trails leading from Kikassaare (near Kastre) over Jommsoo to Ahunapalu and then through Soitsejärve and Lake Leego to Meeraplu are being established. A canoe or kayak ride from the delta of the River Emajõgi along the River Akali upstream to Lakes Kalli and Leegu is very impressive. 14. 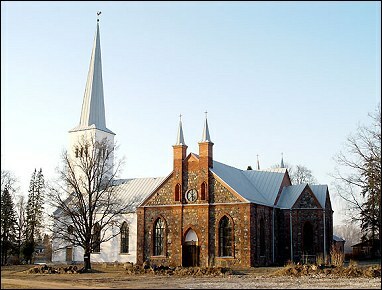 The most interesting historical remembrance of Võnnu is the Church of Jakob, towering over the banks of the River Luutsna, the biggest countryside church in Estonia, first mentioned in the historical documents in 1361. The Altar of the Church is decorated with the painting of O. von Moeller "Ristiloomine" / "The Crucifixion" (1871). The Altar dates from 1884, the Organ (considered to be one of the clearest sounding instruments in Estonia) from 1895 and the Bell from 1766. Many of the Church Manor buildings (all from the 19th century ) also belong to the architectural artefacts. The Church is surrounded by a 2 ha park, established at the beginning of the 19th century. 15. The Island of Piirisaare - one of the most peculiar tourism features of the County of Tartu - is located at the meeting place of Lakes Peipsi and Lämmijärv. In 1920 up to 700 people lived here, on the 1 January 1999 there were only 102. 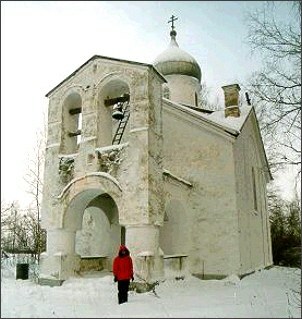 There are two interesting churches on the Island, one of them is the Church of the Old Believers in the Village of Piirikiila. The flora and fauna reserve, established in 1991, should guarantee the preservation of the peculiar nature associations in Piirissaare. 16. The current Tõravere Observatory was established in Tuulemäe in 1958-1964 and for a long time bore the name of Professor Friedrich Georg Wilhelm Struve (1793-1864), director of the Pulkovo Observatory, world famous studier of twin stars and organiser of the measuring of the Meridian Arc from the North Sea to Delta of the River Danube. 17. Mount Vapramägi - 78 meters above sea level, under national protection from 1959. Due to its steep slopes people have considered the Mount Vapramägi to be a stronghold of the ancient Estonians, which got its name from the Estonian Leader (Vapra), who was killed on this Mount. Here there also used to be a sacred grove and an ancient place of sacrifice. On the top of the Mount Vapramägi there is a glade, the central place of which is a basin. It is possible to order an experienced track leader to guide you through the Vapramäe nature trail.